The technical professional bachelor's programme Built Environment of Breda University of Applied Sciences has the differentiation area International Spatial Development. This programme lasts 4 years and is taught in English. This programme prepares you for a career in the creation and optimisation of international living environments and in the design, functions and accessibility of areas or locations. You will be trained to become a professional capable of operating in the international market. Researching how you can keep your country accessible in the future? Mapping out problems in disadvantaged districts? Designing the ideal residential area of the future? After your graduation at Breda University of Applied Sciences, you are the international Built Environment expert who creates and implements sustainable solutions for the future, using the latest technology, design experience and planning principles. The programme was voted No.1 within its category in the Nationale Studentenenquête 2016 (Student Survey). According to Keuzegids HBO 2015 (Dutch) Breda University of Applied Sciences is the best large university of applied sciences in the Netherlands. 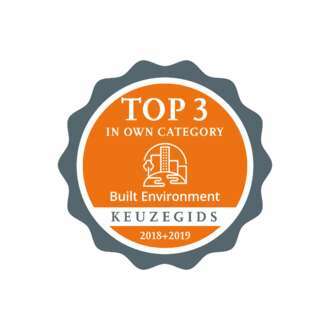 Keuzegids HBO 2015 also ranked the International Built Environment programme high in its own category. As the differentiation area International Spatial Development starts in September 2015, analyses are only available for International Traffic Management.